Parents often overlook the dangers associated with windows. From re-arranging your furniture to making sure you have the latest safety window stops installed, there are a number of precautions you can take to effectively baby-proofing your home. It is also necessary to understand the risks associated with both the internal and external doors in your home. 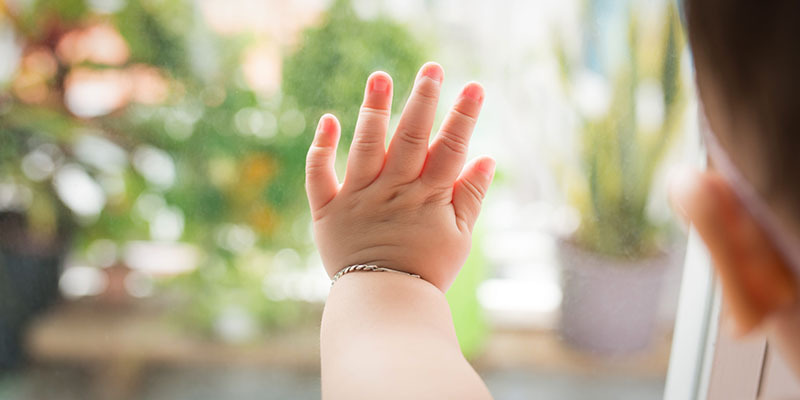 Protecting your small children from these household hazards is imperative to their safety, so here is a guide to childproofing windows and doors. The main issue with the windows in your home is the risk that your child will fall from one. This is why it is so important to put the necessary safety measures into place. Creating a safe and secure home environment for your children is all about being aware and able to prevent potential dangers. Window restrictions prevent you from being able to open your window fully. They still allow a fresh air supply to enter your home without opening too far. This safety gadget was created for casement windows, open-out and sash windows. If you have any of these types of windows in your home then it is essential to purchase and install the restrictions for them. These can be found both online and in most high street shops such as John Lewis or Argos. These restrictions are especially important for the upstairs rooms where there is a fatal risk attached to the hazard. Window locks are the easiest way of preventing your child from opening a window. The most powerful way of childproofing your windows is simply by locking them all and keeping the keys well hidden from your little ones. Most windows will automatically come with a built-in lock and key, but if not then you can purchase easy-to-install locks for sliding windows. Although this is the best way of creating a safe haven for your child, it is not a permanent solution. Occasionally, when we are blessed with warm weather, you will need to be able to open your windows, and once they are open, you’ve increased the hazards in your home. Nevertheless, regardless of whether you have installed additional safety measures or not, always make sure that all of your windows are locked shut. This safety method was made for sliding, single and double hung windows. It successfully prevents anyone from opening the window, providing a wedge to ensure it stays shut. However, this safety measure cleverly has a dual function and works equally when holding your window open. It allows a supply of fresh air to enter your home through a gap no wider than four inches. Just to clarify, it is virtually impossible for even the smallest child to fit through a four-inch gap. It is important to think about how the furniture in your rooms is arranged and shift any items that make windows more accessible to children and toddlers. Move all of your furniture away from windows sills, especially sofas and chairs which make for convenient climbing frames. Make sure that you have checked all of the rooms in your house and moved any items of furniture that gives your child access to windows; never underestimate the determination of a two-year-old. A major safety risk to your child is blind cords. All blinds now should comply with the new standards which limits the cord length and includes additional safety features such as breakaway components. The blind connection or chain will now automatically break if there is any undue pressure. This is to prevent children getting the cords wrapped around their necks and strangling themselves. Cordless blinds are now widely available, as are roller blinds fitted with a hook to keep the controls taut, and are a much safer option. If, however, your existing blinds do not come with the new safety features, then it is vital to keep cords well out of reach using hooks and cleats, and any loose cords should never be tied together. Whether you have children living with you or not, by law now, all blinds with cords must always be secured with a child safety device. There are a number of ways you can make sure your doors maintain a high level of safety in your home. The most significant risks to your children are when they catch their fingers in the door hinges, shutting the doors on the limbs, or escaping out the front door. All of these hazards can be prevented with a few additional safety features. You can purchase slamming prevention devices that are usually made of foam and prevent your door from shutting completely. They are effective in creating a physical layer between fingers and the door. You can find a number of these available in a variety of colours and materials and are easily removable (by a tall person). These are available for internal doors only though and don’t protect little fingers from the hinge area. To protect your children from the dangers of door hinges, you can invest in a slimline protector that prevents hands from getting trapped. They may not be the most attractive feature, but they’re relatively cheap, straightforward to fit and easy to maintain. The good thing about these protectors is that your children are likely to grow out of getting their fingers trapped in door hinges within a few years; they’re the perfect temporary solution. It is essential you make these safety precautions before your child starts to crawl or before you have small children visit your home. All of these provisions are relatively easy and affordable to implement.  If your house is fitted with old windows that could be a hazard to small children, then Crown Windows provides Window Replacements in Aylesbury and surrounding areas which include all the latest safety features. If you have enjoyed our article, then give it a share!